We have been very excited here in Junior Infants over the last week or so. 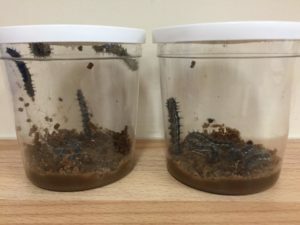 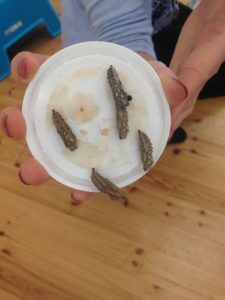 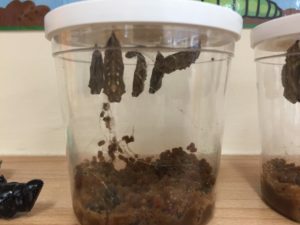 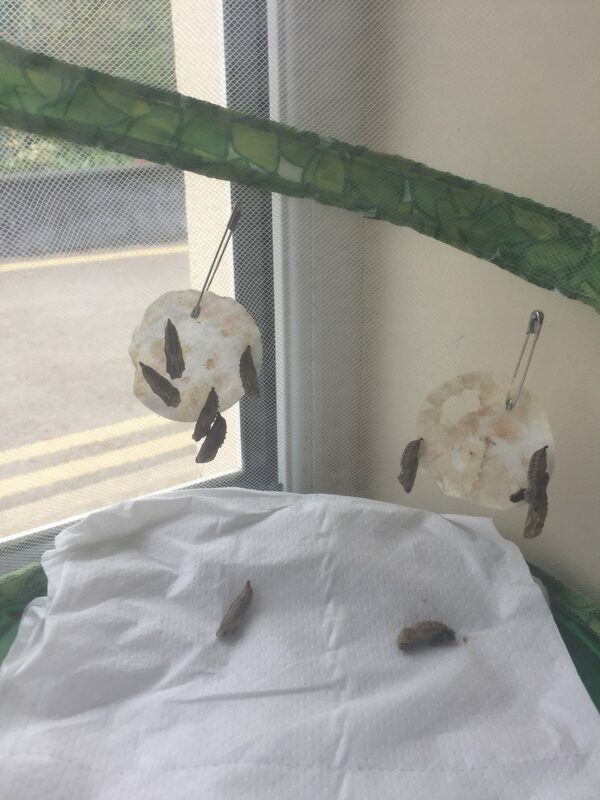 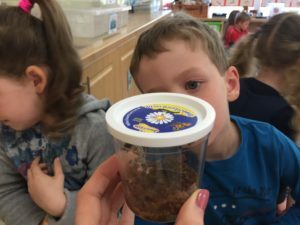 When we arrived into school last Wednesday the caterpillars had built their cocoons!! 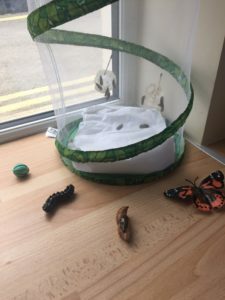 Before they went into their new habitat! 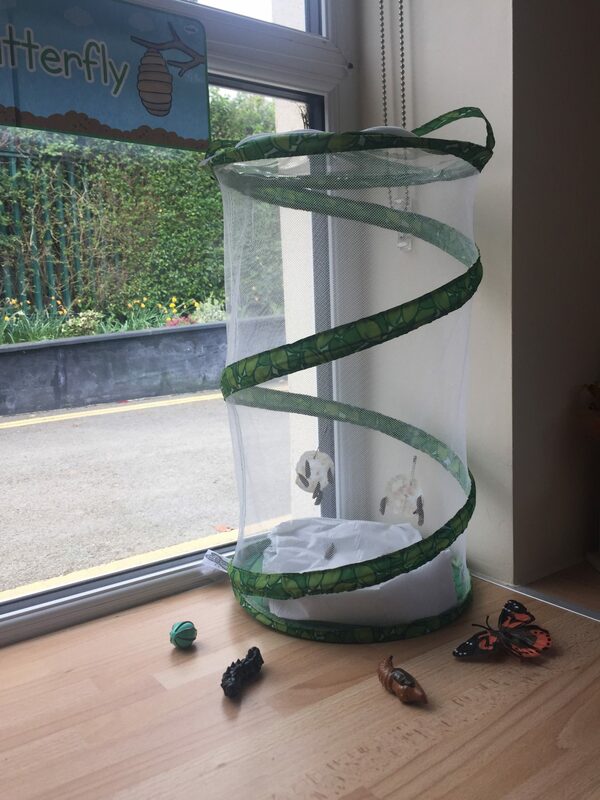 Check back soon to see how they’re getting on! Next story We’re growing Cress! 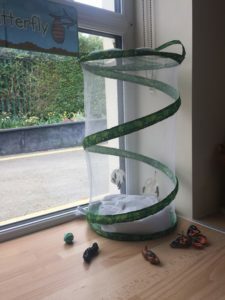 Previous story Hunting for Shapes!